Parisian pop perfectionists Phoenix have had a career high in 2009, thanks to their incredible Wolfgang Amadeus Pheonix full-length. Now, we can expect another release from the band in 2010, but it won't be an album. 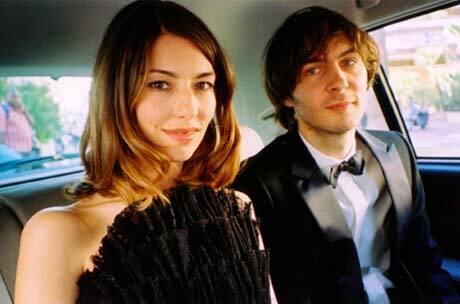 Instead, front-man Thomas Mars will be having a second child with his long-time partner, director Sofia Coppola. In a video interview with Chicago's XRT [via Perez Hilton], Mars revealed that Coppola is pregnant. The couple already have a three-year old daughter named Romy. Apparently, Mars has considered all kinds of methods to make sure his child comes out just right, saying, "I heard the story that if you play Bach, [babies in the womb] get smarter." When asked if he'd play the new Phoenix album for the baby, Mars said, "We have to study it. Not sure it's a good idea." One thing is for sure: both of their children will grow up to be some of the hippest people around. In addition to making babies, Phoenix have lined up even more dates in their seemingly endless world tour. Besides shows in the U.S., Australia and Europe, the band will make another Canadian appearance in Vancouver on January 22.